Israelis who have left the country will soon have a number of new incentives to return, including tax breaks, education, and professional training. Israeli citizens who have emigrated will soon have a number of new incentives to return. The cabinet voted Sunday to approve a plan that will provide new benefits to returning Israelis, putting them on equal footing with immigrants when it comes to personal income tax. The proposal was submitted by Minister of Immigration and Absorption Sofa Landver and Prime Minister Binyamin Netanyahu. Returning Israelis are particularly beneficial to the country, Netanyahu said. They tend to undergo rapid cultural and economic integration, as they are generally familiar with the culture and language, he said. However, they are also familiar with other cultures, “the creativity and work standards of which we are sometimes interested in adopting here,” he added. The Immigration Ministry aims to bring back 15,000 Israeli citizens per year. An estimated 750,000 Israelis currently live abroad. 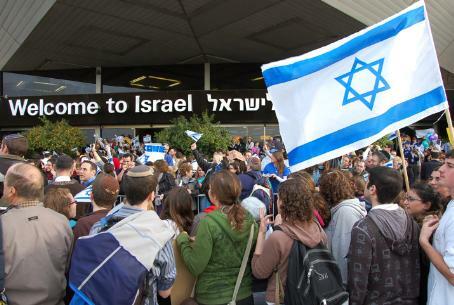 10,900 Israelis returned in 2009. The majority of returning Israelis are of working age, and their income is roughly 30% higher than the national average. There is an increasing number of Israeli expatriates expressing an interest in returning, Netanyahu said. Many people left the country because they felt they lacked opportunities, but now the Israeli economy has blossomed and provides many opportunities, sometimes more than are available elsewhere, he explained. "For all those who have relatives abroad... contact your relatives about today's decision and tell them that it is not only right, but worthwhile, to return to the country,” he said. Residents returning after five or six years will be eligible for the same credit points as new immigrants. Customs – Returnees who return six years after leaving the country will get benefits equal to those given new immigrants, including tax breaks on the purchase of a vehicle. Health insurance – Upon payment of the waiting period fee by the returnee, half of the sum will be refunded immediately. After one year in the country, the remainder of the fee will be refunded. Employment and initiatives – Money from the Small Business Fund will be directed for the returnees' benefit. Returning residents will be eligible to receive professional training and retraining and employment guidance from the ministry of Industry, Trade and Labor.